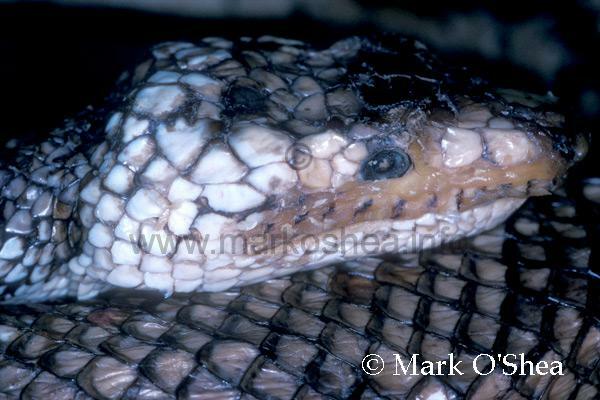 Yesterday (15th May 2010) the internationally renowned snake and arachnid collections of the world famous Instituto Butantan, Sao Paulo, Brazil were destroyed by fire. This is not just a tragedy for the devastated researchers based at Butantan and the many international visitors they receive each year, this is from a scientific standpoint, a disaster with international ramifications which will have a long lasting effect similar to the bombing of the Berlin Museum during WWII, with the subsequent loss of important specimens and papers that caused. To a non-scientist it is hard to understand why the loss of a few thousand jars of pickled snakes should be important. So to explain. Every species is described using a type specimen and it is that specimen that holds the name of the species, and if that specimen is lost or destroyed it makes validating species difficult, such as determining whether a newly found specimen belongs to the same or a new species. Type specimens are the bedrock of taxonomy (the science of naming species which supports biology and conservation), they are protected and cossetted and kept from harm, whenever harm threatens. During WWII all the type specimens in the British Museum (Natural History) were removed to safety underground. Sadly nobody at Butantan could have forseen the disaster that was about to befall them, so irreplaceable type specimens have been lost along with the rest of the most important and influencial herpetological collection in Latin America. From Wikipedia: On May 15, 2010, a fire gutted the building of collections and destroyed about 70 000 specimens of snakes, scorpions and spiders preserved in formaldehyde. Over 90 years of research were lost. The fire started at 7 am and was controlled only an hour and a half later. According to initial assessments had not animals living in the building. 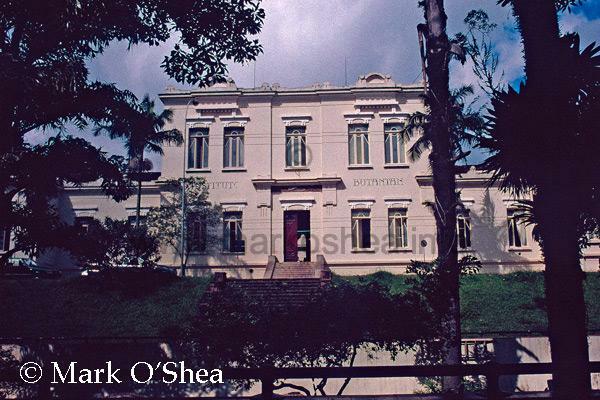 Instituto Butantan, SP, Brazil,in 1999. This was not the building destroyed by fire. and many type specimens for their species. and housed in the IB collection. 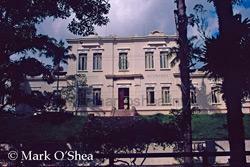 I visited Instituto Butantan in 1987 whilst working on the Royal Geographical Society Maracá Rainforest Project and then filmed there and with colleagues from Butatan on Ihla Queimada Grande when we made the OBA film Lost Worlds in 1999, when we also collected a specimen of the, then still undescribed, Alcatraz lancehead. My sympathies go out to everyone at Instituto Butantan following this terrible disaster.